*The promise of better job opportunities for African Americans in cities like Charlotte, Miami, Tampa and Las Vegas is unmet, according to a new report released today by the Economic Policy Institute (EPI). 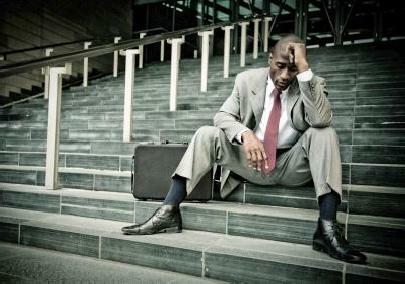 High black unemployment widespread across nation’s metropolitan areas, by Algernon Austin, director of EPI’s program in race and ethnicity, measures African American unemployment in 31 large metropolitan areas,* comparing post-recession rates of 2010 to the rates before and at the end of the recession (2007 and 2009). Before the recession, Sun Belt cities were a refuge for African Americans escaping black unemployment rates of 10% or higher in metropolitan Detroit, Chicago, Cleveland, Kansas City, Memphis, Milwaukee, Minneapolis and St. Louis. By 2010, the Sun Belt metropolitan areas of Charlotte, Miami, Tampa and Las Vegas all had unemployment rates above the national black rate and were among the highest rates of all the metros examined. Los Angeles, Charlotte, and Detroit all had black unemployment rate increases of more than 4 percentage points from 2009 to 2010. In total, 16 out of the 31 metro areas studied had unemployment rate increases of at least 1 percentage point. The study ranks the 31 metro areas by unemployment rate (Detroit is highest at 24.7%) and by the ratio of black-to-white unemployment (Milwaukee is highest, where blacks were 3.8 times as likely to be unemployed as whites), but the overall picture it paints is that, in the current economy, it is very difficult for African Americans to escape double-digit unemployment. “Without a strong federal jobs program, the pain of very high unemployment is likely to be long-lasting for most of America’s metropolitan blacks,” said Austin. In 2010, Detroit, Milwaukee, Las Vegas and Minneapolis all had black unemployment rates of over 20%, comparable to the peak national unemployment rates during the Great Depression of the 1930s. In 2007, the Sun Belt metropolitan areas of Charlotte, Miami, Tampa and Las Vegas all had black unemployment rates below the national rate for blacks. By 2010, these Sun Belt metros had unemployment rates above the national black rate and were among the highest rates of all the metros examined. In Milwaukee, Minneapolis and Baton Rouge, blacks were more than three times as likely to be unemployed as whites in 2010. Milwaukee had the biggest disparity with a black-to-white unemployment rate ratio of 3.8-to-1. *This analysis is limited to the 31 metropolitan areas for which the data were sufficient for reliable unemployment estimates. As long as these companies continue to make huge profits on the backs of those of us forced to work with less nothing is gonna change. Why hire people when you can work people too death knowing they can’t go anywhere else? The economy is the work of the red devil and it won’t be changing anytime soon no matter what the Obama Administration or any other leader says or does! “no matter what the Obama Administration or any other leader says or does!” Really? “Without a strong federal jobs program..” You’re saying the head of the federal government HAD to cut federal jobs instaed of strengthen the federal government? You’re saying he had to bailout banks instead of homeowners who are underwater on their homes? Yes really stoopid azz beeatch! i wish someone would do a study evaluating the effects of naming your child one of these fukd up names and their future employment outlook. when the economy is bad, it’s tough enough being a minority and then to make matters worse having a jacked up name on your resume. i know i have been guilty of tossing more than a handful of such resumes. i can only imagine what other managers do.